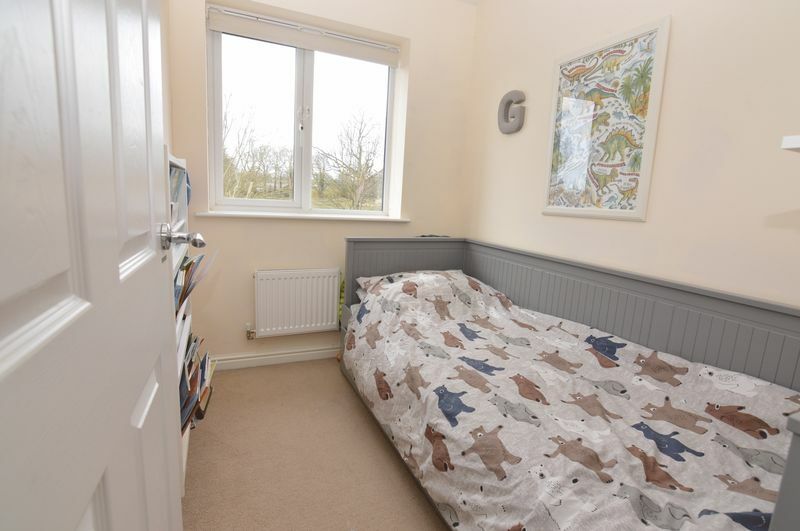 Excellent TRANSPORT links for easy COMMUTING, close to local SCHOOLS sought after VILLAGE location ideal for young FAMILIES, FIRST TIME BUYERS and PROFESSIONALS, MODERN LIVING with master EN-SUITE, off road PARKING and PRIVATE rear GARDEN with open COUNTRYSIDE views. 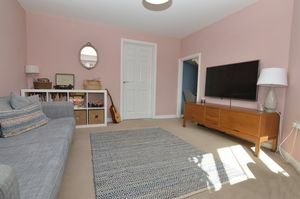 This three bedroom semi-detached family home is situated in the popular residential area of Carleton at the bottom of a cul-de-sac offering open views across open countryside. The property is ideally located close to local schools and amenities, conveniently situated for travel to Pontefract town centre, Wakefield, Leeds and beyond via public transport and the road and rail networks. 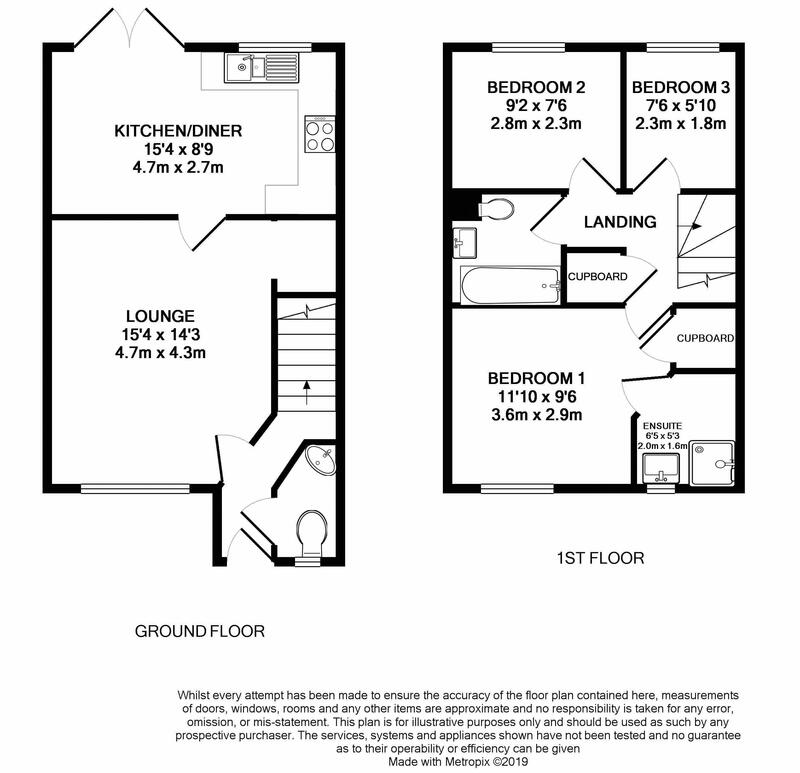 The accommodation briefly comprises: three bedrooms (master with an en-suite), lounge, kitchen / diner, downstairs WC and bathroom. 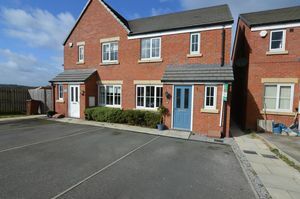 The front of the property is open plan and provides off-street parking for two vehicles. The rear garden is enclosed with a flagged patio area and an area laid to lawn. 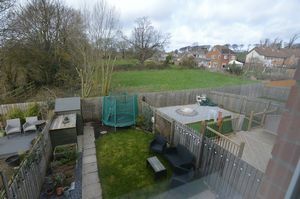 The property benefits from UPVC double glazing and a gas central heating system. 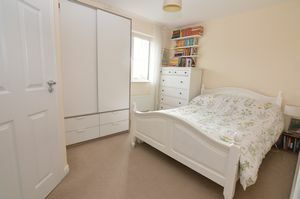 A composite door with obscure glazed panels opens to the hallway. 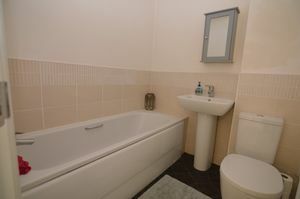 The hallway has a radiator, stairs leading to the first floor and doors leading to the lounge and the downstairs WC. 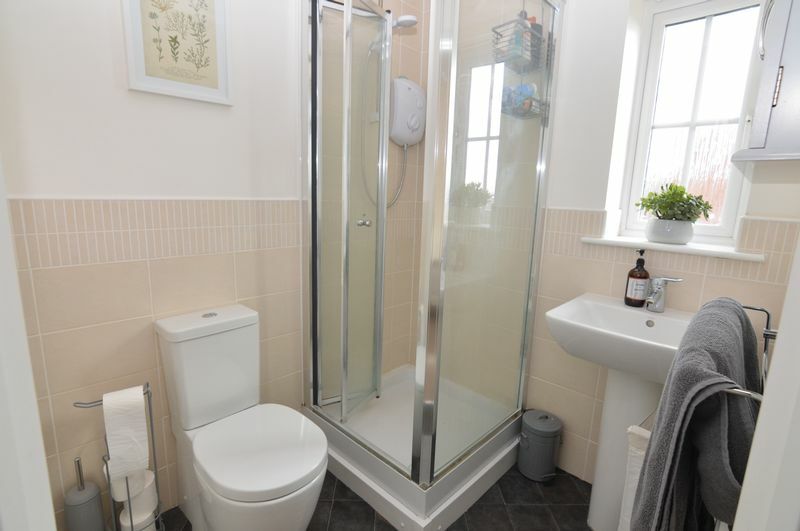 The downstairs WC is fitted with a two piece suite in white comprising of a close coupled WC and a vanity enclosed wash basin with storage below. 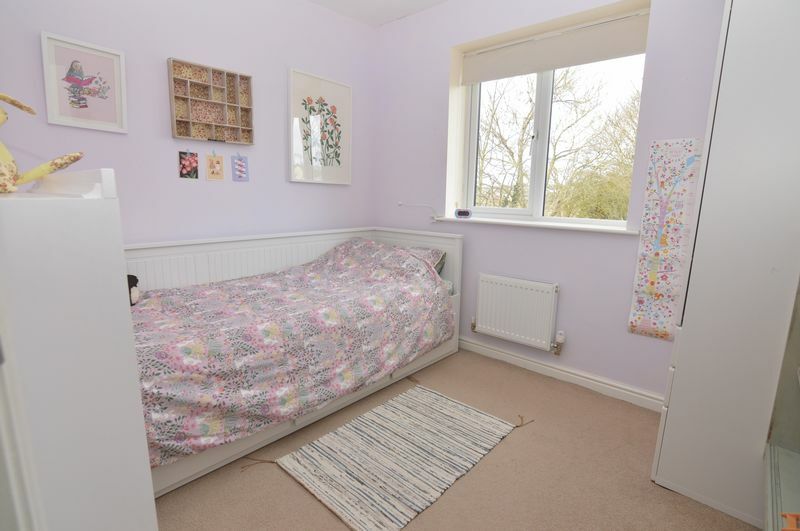 There is a radiator, splash-back tiling and an obscure glazed window. The spacious lounge floods natural light and has a radiator, a window to the front, an under stairs storage cupboard (currently used as an office space) and a door leading to the kitchen / diner. 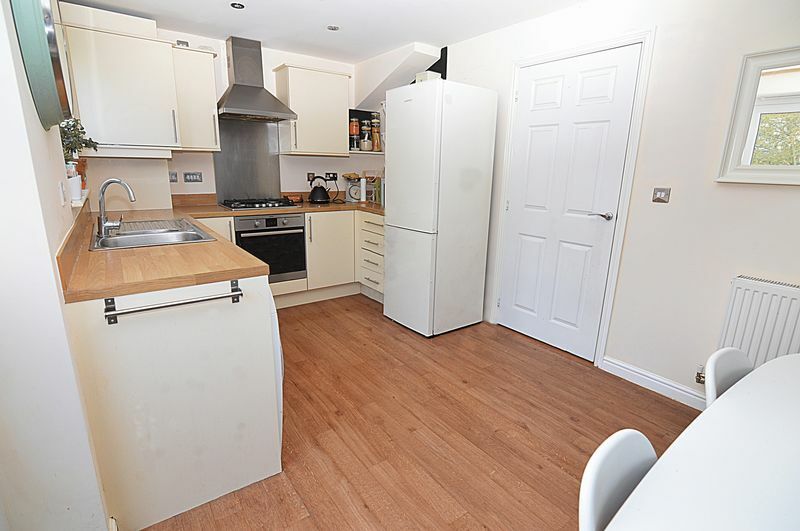 The kitchen / diner is fitted with an attractive range of wall and base unit in cream with wood effect work-surfaces over and matching stand-offs, inset with a 1.5 stainless steel sink and drainer. 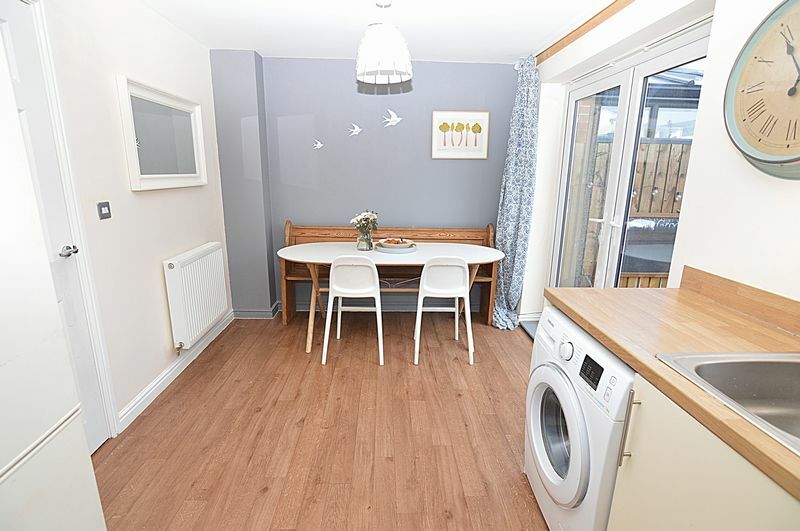 There is an electric oven, a gas hob with a stainless steel chimney style extractor hood over and matching splash-back, an integrated dishwasher, space and plumbing for a washing machine, space for a fridge freezer and a window to the rear. The kitchen continues through to the dining area where there is a radiator and French doors leading to the rear garden. 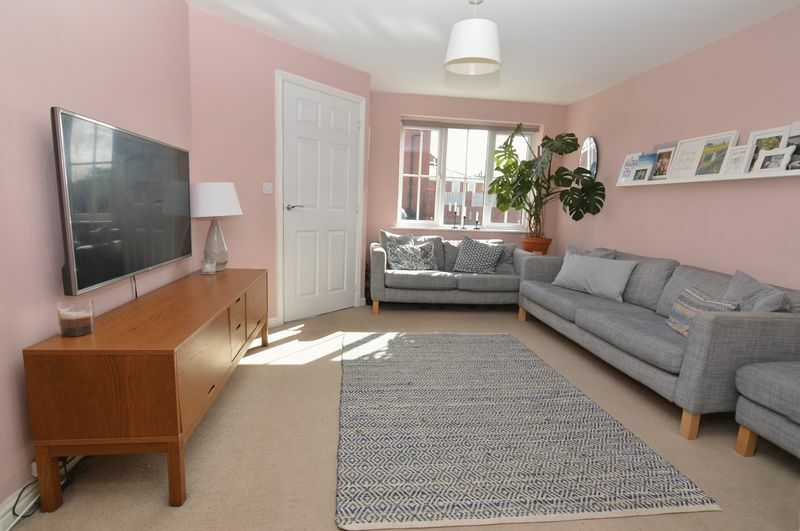 Stairs lead to the first floor landing which has an access hatch to the loft space with a pull down loft ladder and doors leading to the bedrooms, bathroom and a useful storage cupboard. A double bedroom which has a radiator, a window to the front with open views beyond, a door opening to a storage cupboard and a door leading to the en-suite shower room. Fitted with a three piece suite in white comprising of a good sized shower enclosure with a bi-fold access door and an electric shower over, a pedestal wash basin and a close coupled WC. 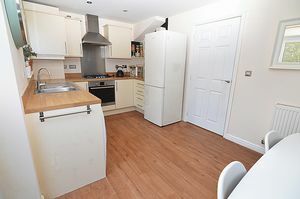 There is an extractor fan, spotlights, part tiled walls and an obscure glazed window. A smaller double bedroom with a radiator and a window to the rear with open views beyond. A single bedroom with a radiator and a window to the rear with open views beyond. The bathroom is fitted a with three piece suite in white comprising of a panel enclosed bath, a pedestal wash basin and a close coupled WC. 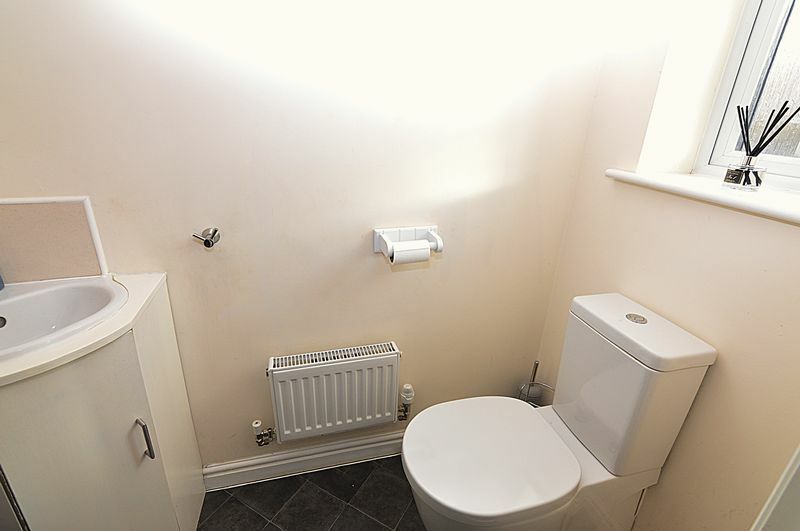 There is a radiator, part tiled walls, an extractor fan and spotlights. The front of the property is open plan and mainly laid to tarmac providing off-street parking for two vehicles. 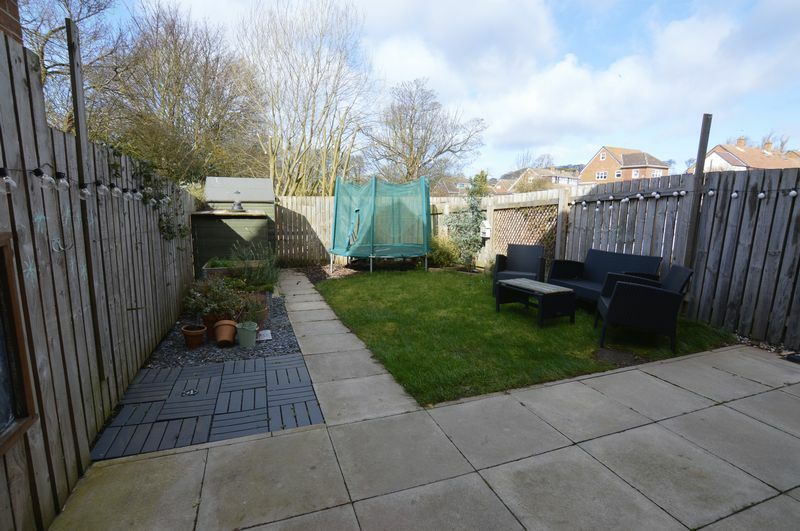 There is a border with mature shrubs and plants and a flagged pathway leading to the side of the property and a wooden gate opening to the rear garden. 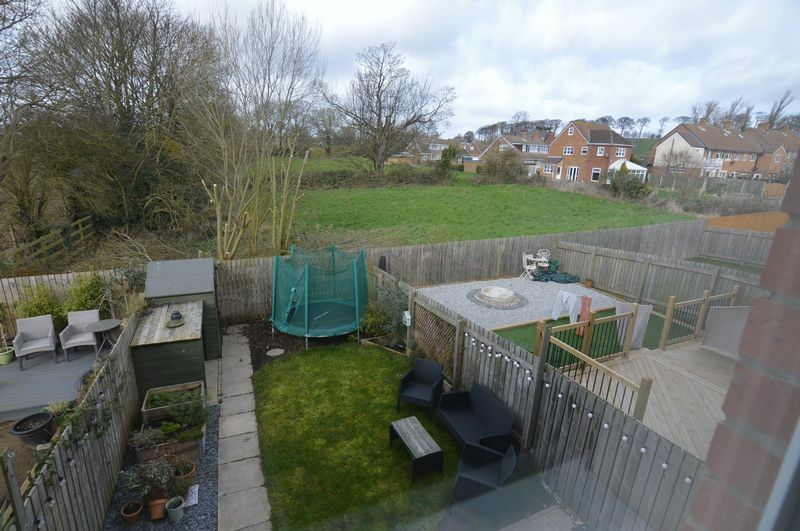 The rear garden is enclosed by timber fencing with a paved patio area, an area laid to lawn, areas planted with mature shrubs and plants and a garden shed.